The Muslim Unmah Development Initiative (MUDI), which is made up of Ghanaian Muslim Scholars and Professionals, is advocating a review of the country’s financial laws to incorporate Islamic Financing to pave the way for Muslims in the country. This, when done, will encourage Halal investment in the country’s financial sector. According to the group, Halal Investment would enable Muslims in Ghana to attract investment from the Muslim world and also create options different from the conventional system of financing that pertained in the country currently in the area of banking and insurance, among other investments. 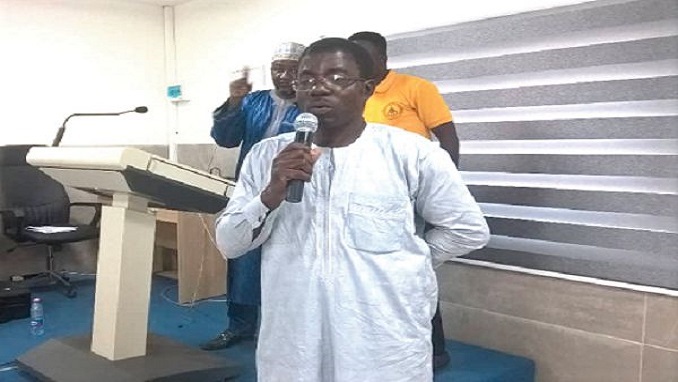 At the Islamic Bank Hajj School at the Durra Institute of Arabic Language (DIAL) in Accra last Saturday, the Group Chief Executive Officer, Hajji Abdel-Manan Abdel-Rahman, said it was about time Muslims in Ghana came together to push the Bank of Ghana to establish an Islamic Bank. “The UK, which has about 2.5 per cent of Muslim population, 21 years ago incorporated Islamic financing law as part of its financing laws by establishing the Islamic Bank. South Africa, which has about 1.5 per cent Muslim population, has also incorporated Islamic financing laws. Let’s assume the Muslim population in Ghana is 10 per cent, then we are more than qualified to also request for Islamic financing laws for Muslims in Ghana,” he said. Currently, the BoG has about 11 financial regulations governing the financial sector in Ghana. However, Abdel-Rahman was of the view that none of the BoG regulations created an avenue for Halal investment in the country, hence the advocacy by the MUDI Group for Halal Investment in the country. Halal defines what is permissible under Islamic Law known as “Shariah”, and according to the Imam Fund (Invests.com), Halal Investments refer to investing funds or doing transactions that are compliant with the Islamic Sharia law. This investment is different from the other common forms of investment due to its prohibition of “riba” (interest), and of investment in debt-laden companies that may cause high risk to the investor.